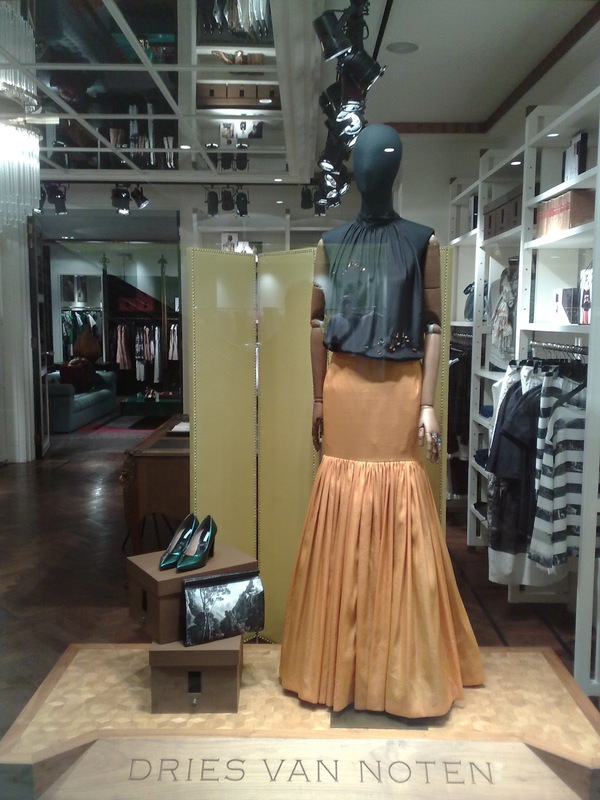 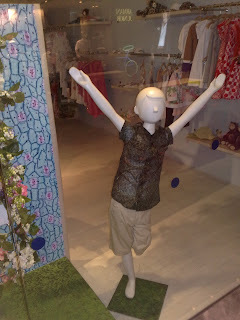 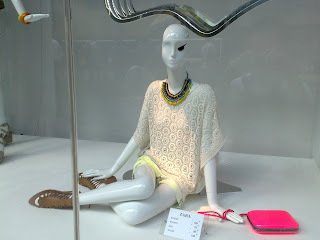 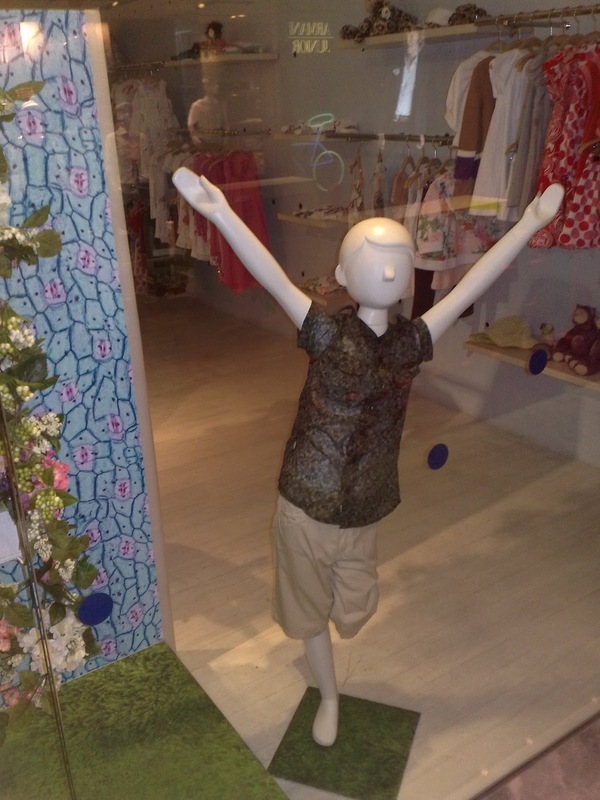 Window displays are like editorial spreads of fashion magazines. 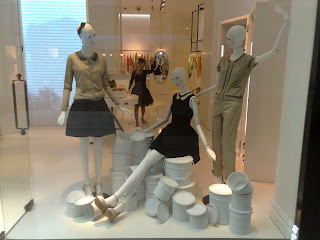 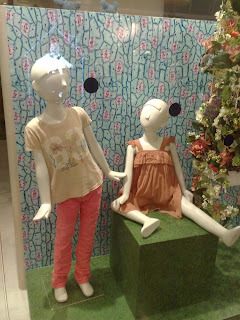 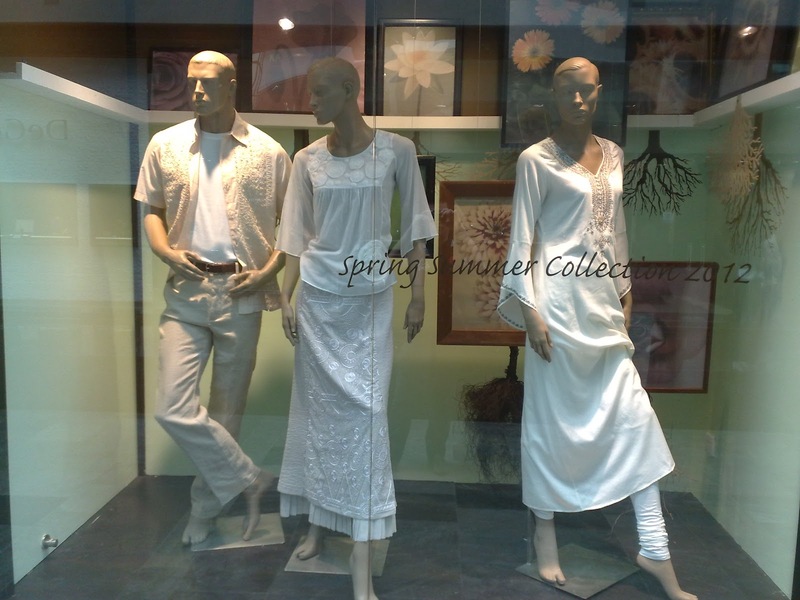 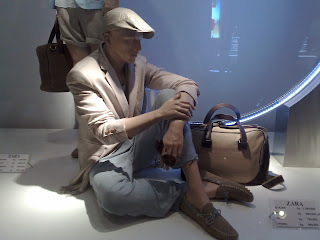 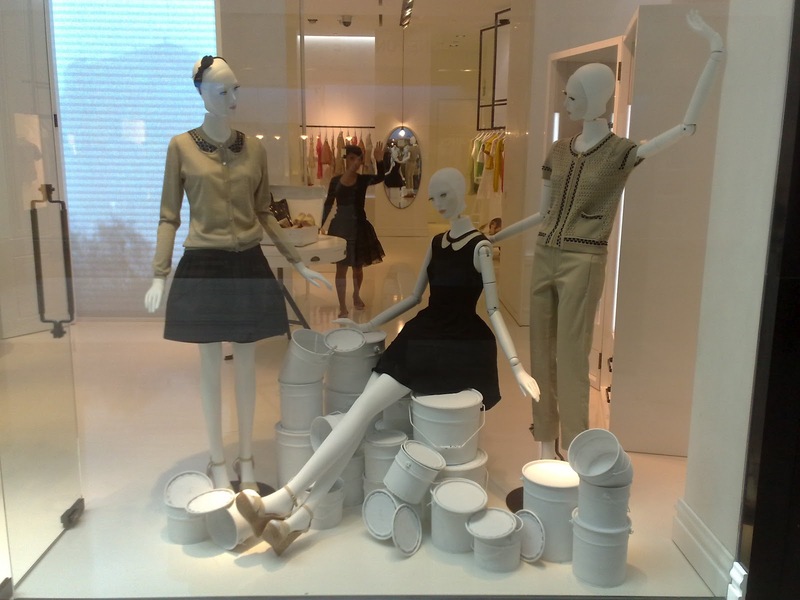 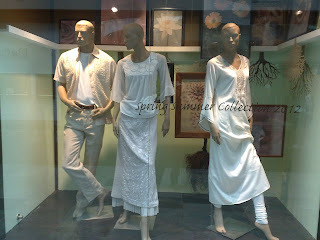 Mannequins are standing, sitting, lounging with different style of poses. 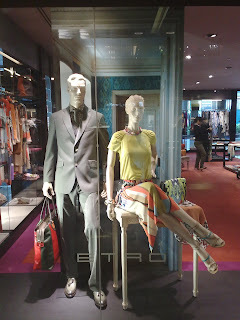 The make up, the styling of the outfits, and accessories complete their mood and expression. Plus the set and the properties that are also various and somewhat thematic.